These Job sites in Japan will help Foreigners in Japan and even some Japanese who are still struggling to find out the best job sites in Japan. People flock into Japan every year to start their lives afresh and by starting a new life, you need to have income in order not to be stranded in a new country. Raising income is not easy for new migrants. They have to move from one place to another just to search for jobs, make money and live a comfortable life. As a foreigner in a Non-English speaking country, the chances of getting a job will be tight because you can’t speak the same language as a Japanese does. No need to panic because with the list of the best job sites in Japan I have put together, finding a job as a foreigner will be as easy as eating sushi. Nevertheless, for Japanese who are also searching for jobs in or outside Japan, I persuade you to give these websites below a try as you never know what connections will be available for you. 1. GaijinPot jobs Japan GaijinPot jobs is a job portal where job seekers with any educational level can apply forjobs. 2. Daijob Japan A job site for multilingual and international job seekers in Japan. 3. 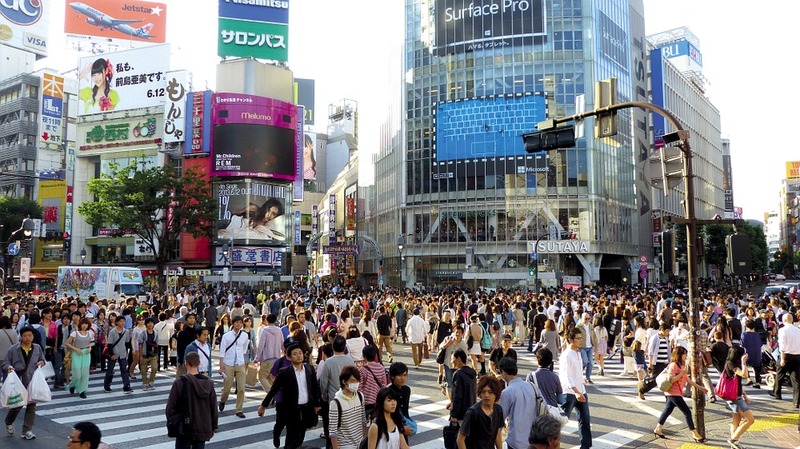 Craigslist Japan Craiglist provides jobs for most people in Tokyo Japan. 5. Career Engine Japan Their job offers are for mostly bilingual people. 7. Yolo Japan Employment opportunity at a top notch. 8. Nipponshigoto.com For resorts, jobs apply on Nipponshigoto.com. 9. Ninja Next in Japan Provides jobs and gives career advice. 10. Jobs world Jobs world is a job site for Asian job seekers who want to work in Japan. 14. NikkeiCareers.net NikkeiCareers.net is a job portal for skilled professionals. 15. Hays For the best sciences and IT jobs, Hays.com is here for you. 16. Mixess Mixess is a great site for Tech and IT jobs in Japan. 17. Baitoru.com This job site offers jobs to job seekers with or without experience. 18. Career Builder Apply now on Career Builder and get jobs that match your profile. 19. Asian Hires In just one search, get all Japanese jobs in one place. 20. Careerjet Careerjet is one of the biggest job sites in the world with a brand in Japan that make sure candidates are satisfied. 21. Townwork Job Posting is done by Japanese Employers in the Japanese Language so this won’t be suitable for English Speakers. 22. Rikunabi Rikunabi is one of the most well known Local Job Portal in Japan wholly owned by Recruit Corporation. 23 Hello Work Japan Hello Work Japan is a Career Site that helps Japanese secure decent Job through Agencies. Gaijinpot jobs offer job opportunities to all job seekers. They provide full time and part time jobs and allows job seekers to see positions that accept any educational level in Japan. You can also apply for oversee jobs and search for jobs by keyword, industry, and location. You can also do an advertisement here. Daijob has been matching employers and job seekers for more than twenty years. Their job seekers are mostly bilingual and multilingual men and women who are ready to put their language skills to work in an exciting professional environment. Daijob has a scout mail where employers are able to approach you directly. In other to save that opportunity just post your resume and sign up to begin your job search. Craigslist job listing especially in Tokyo is quite expensive. You can find part-time jobs, full-time jobs, internships and agreement jobs in this site. Jobs seekers can search for jobs and post resumes in this site and it allows them to select the type of employment they want either part-time or full-time jobs. They offer jobs by industry, location and by prefecture. It provides IT-related jobs, Teaching jobs and a good site for foreigners to search for jobs. You’ll find everything here, from English –teaching jobs to smartphone game designs positions. Career engine notes language requirements for each position so you don’t have to browse for jobs that you are not qualified for. Their job offers are for mostly bilingual people. This is a recruitment portal for bilingual professionals in Japan. They provide information on bilingual jobs in Japan for bilingual Japanese and English Speakers. They also provide jobs in other positions abroad. This is a job site that provides long- term and short- term jobs for foreigners in Japan. They make sure foreigners are satisfied in their job search. Most of the job offered here are resort jobs, teaching jobs, office jobs, hospital jobs, factory jobs, hotel jobs, restaurant jobs and more. Foreigners can also search for jobs on this site. This site specializes in the recruitment of foreigners. It provides useful information on employment and it’s a friendly site to foreigners. Jobs world is a site for Asian people like those from China, Korea, India and other Asian countries who want to work in Japan. They provide mostly medical and welfare-related jobs. It does not only provide job information but support professionals who want to change their careers by giving them career advice. A job search site for foreigners and freelancers. Indeed Japan has hundreds of international jobs available in Japan and about 5580 Japanese jobs are available on indeed.com. Get decent jobs in Japan with companies ratings and salaries on Glassdoor.com. This is a free job posting site for all employers in Japan. Job hunters uploads resume for free and can browse for jobs like Interpreter, Psychologist, IT Engineers, Editor, Teachings, and jobs in other fields. With more than 30 years of experience, Nikkei has been of good reputation to job seekers and recruiters. It is a job site for skilled professionals. Hays is a recruitment job site that produces jobs in the science sector, IT sector and also offers foreign jobs. Mixess is an online job portal that specializes in Tech jobs and IT jobs in Japan. Free services on online consultation, resume advice and interview exercises are provided by Mixess to job seekers. Get hired today by applying for high paying jobs for foreigners in Japan on Baitoru.com. With or without experience, get jobs on this site. Apply now on Career Builder and get jobs that match your profile. In just one search, get all Japanese jobs in one place. CareerJet as you know it is a mega international job search engine that provides jobs for job seekers in Japan. Jobs listed here are jobs from top companies in Japan. If you are a Good Japanese Native Speaker, then this Job site is good for you. You can see it in most of their Ads on Stations around Kanto area In just one search, get all Japanese jobs in one place. As long as you are in Japan, you would want something Local to secure a Job, Rikunabi is that one place that will get you connected Locally. Hello Work Japan is a Public Job Agency for the People of Japan though with the Service Structure of a Job Portal, They are more like a Job Agency too. Are you desperately in need of a Job in Japan? Then you must follow through the Advises of this Japanese in the Video below. I bet you that this Video is worth the watch as she takes you through some important factors that you must consider while Job hunting in Japan. They might not be a step by step list of how to get it done but the random tips, tricks, and approaches will definitely help you sail through in your bid to secure a decent Job in Japan. The Ultimate Guide to securing a Job in Japan is a step by step guide by Tokyo Lens that shows you what you must do to have that Dream Job of yours in Japan. You need a decent and High Paying Job to live a decent life in Japan and of course, these days, Jobs in Japan are posted online on Japan Job Boards, Job posting sites in Japan and Job Portals in Japan. Now you have it, job sites in Japan that a foreigner can use as well as a Japanese citizen to find jobs in the right places in Japan. Job searching made easy just check out the job sites in Japan above and viola you are close in getting a boost in your career. がんばろう meaning Good Luck. I would personally say that this is a wonderful piece for Job sites in Japan, Keep up the nice work, by the way, a great Post! Superb blog! Do you have any tips for aspiring writers? I'm planning to start my own website soon but I'm a little lost on everything. Would you propose starting with a free platform like Wordpress or go for a paid option? There are so many options out there that I'm completely confused .. Any tips? Appreciate it!